Settle in to lakeshore cabins and cottages in Grand Teton National Park with unmatched views of the Tetons across Jenny Lake or Jackson Lake. Book for this summer today. 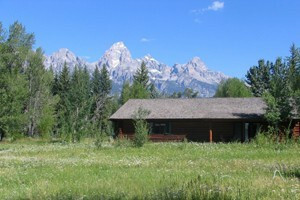 Historic cabins on the banks of the Snake River, with stunning views of the Grand Tetons. Located Resort includes market/gas, restaurant/bar, wine shop, outdoor shop/rentals. 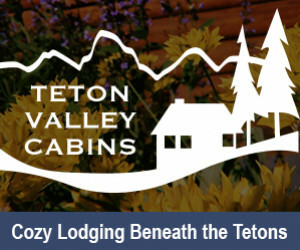 25 miles from Grand Teton National Park, find cozy cabins with fully equipped kitchens, full bathrooms and multiple bedrooms. Perfect for families! Book a horseback ride too! Traveling to Yellowstone & Grand Teton? 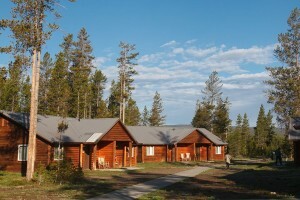 Choose Headwaters Lodge and Cabins, located conveniently between both Parks. Our Cabins and Campground provide the perfect basecamp. 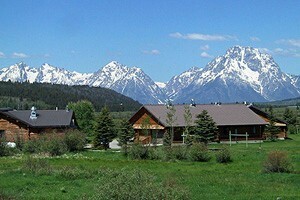 Let us help you plan your perfect vacation to Grand Teton National Park. Located just minutes away, our luxury cabins feature spectacular views and absolute comfort. 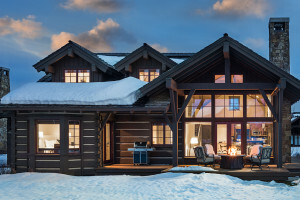 Choose from a unique selection of 2-5 bedroom cabin rentals at Jackson Hole Mountain Resort. Ski-In/Ski-Out, or just a short walk to the slopes. 5 star service and amenities! 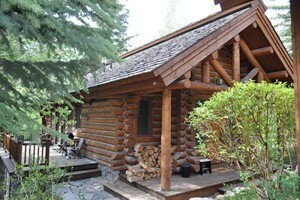 Cozy B&B guest ranch with cabin accommodations in beautiful Swan Valley, ID. 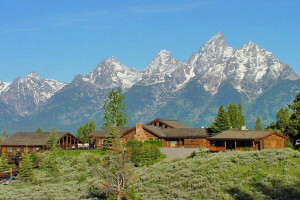 Just 43 miles southwest of Jackson Hole & perfect for weekend getaways, groups, couples, fishing. 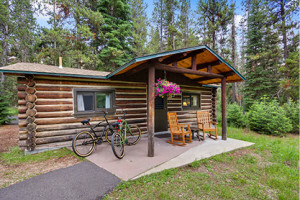 Located in Dubois, just 1 hour from Grand Teton Park, this pet friendly property features a dozen log cabin duplexes complete with western decor.